Lately there's been a lot of dust kicking up in Sugar Grove, NH. I've lived here all my life and have seen my fair share of calamities, crises and critters. That being said, I've never seen the likes of the goings on around here lately. 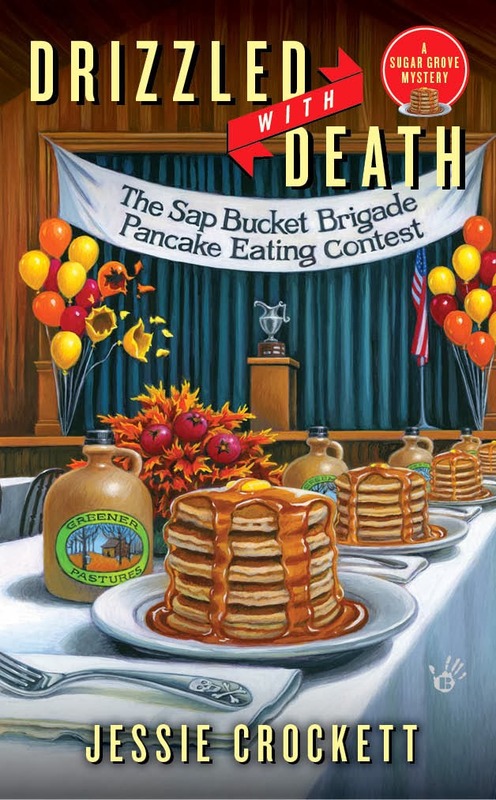 And I'm not just talking about that Alanza Speedwell woman keeling over in her stack during the pancake eating contest. I'm talking about the animals. All hell broke loose. The inside of the Stack Shack erupted into a flurry of activity. It was as though a film crew had descended on Sugar Grove and asked adults to reenact a food fight from high school days. Waffles and sausages and a criminal waste of syrup littered the floor. Hash browns and home fries provided enough slipping hazards to support the need of a physical therapy clinic in town. Coffee flowed like spring snow melt across the black and checkerboard tile. In amongst it all, the kangaroo and her baby dashed and darted and squeezed shrill shrieks from the most stalwart of New Hampshire country men. Men who from early childhood had accompanied their elders on journey’s deep into the woods for hunting trips, camping trips and firewood cutting missions were laid low by this exotic creature running amok in their beloved breakfast establishment. Emboldened braggarts hugged the walls whenever the kangaroo made a foray in their direction. Armed only with musical instruments and butter knives they quivered like Chihuahuas in a New Hampshire winter. There would be much to talk about in the post office Monday morning. Jessie loves to hear from readers at her website or on Facebook! Too bad Sugar Grove isn't a hop, skip, and a jump from Threadville, or I'd have been there! LOL! I love the image of those hearty hunters being thrown for a loop by a kangaroo! A Kangoroo on the loose? That sounds exciting, and they are for sure much bigger thank you think.